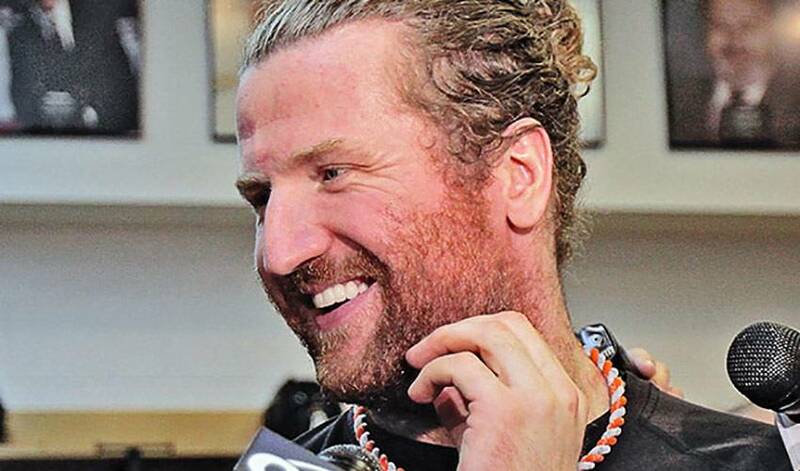 There is only one way Scott Hartnell approaches his hockey life: all out, no excuses. In the days leading up to Operation Hat Trick, the recent charity event that brought together several players to help aid victims of Hurricane Sandy, Hartnell, who captained one of the squads, ruminated about the actual game itself. There was no need to worry about standings, stats or otherwise, but for one of the sport’s most competitive players, the outcome of the game was still important. Whether it was during his Western Hockey League days with the Prince Albert Raiders in the late 1990s, or over his nearly 900-game NHL career, Hartnell has treated every game he’s played in as his most important one. Defensively sound, hard hitting, willing to drop the gloves, netting a head-turning goal, Hartnell, the sixth overall selection of the Nashville Predators in 2000, is capable of producing a myriad of skills throughout the course of a game. As for which component of his repertoire he has the most fondness for, the 30-year-old instead prefers to view his contributions from a different perspective. It was an approach Hartnell learned well before his NHL days. “Obviously, there are a lot of differences between junior and the pros, but the competitive nature and the desire to win is very much the same,” said Hartnell, who scored 37 goals and had 126 points in two full seasons with the Raiders. He’s hoping to add some more in his NHL career. In this instance, a player who also happens to have a big heart. Hartnell has lent his time and support to several hockey-related initiatives, including his #HartnellDown Foundation, making numerous visits to children’s hospitals, taking part in the NHLPA’s annual Beard-A-Thon and cutting his hair for the charity, Locks of Love. His propensity for giving dates back to the days when he’d help out his parents, both teachers, by working with special needs children. A winning approach, on and off the ice, for one of the game’s genuine difference makers.